Frontman Kelly Jones pays tribute to his late bandmate Stuart Cable in the video for their latest track. 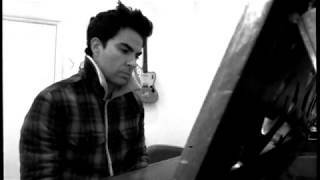 Stereophonics have released a new video, which sees Kelly Jones play heartfelt tribute to his former bandmate, who tragically died in 2010 at the age of 40. Before Anyone Knew Our Name, which features on the band's upcoming 10th studio album, sees the Stereophonics frontman reflect on their early beginnings and even reference Stuart Cable's death with the lyrics: "I miss you man". The grainy black and white video, which the Welsh singer reveals he recorded on his phone, shows Jones sombrely performing the song on the piano and driving a car. Speaking to Rolling Stone about the Scream Above The Sounds track, he revealed: "That's a reflection of losing Stuart Cable". He added: "Yeah. I think, you know, Stuart left the band and we were still friends for seven years. And then he passed away tragically, and of course people have opinions about what happened and all this sort of stuff. "We kept it very private because we were like brothers and we didn't want to dish any dirt. Stereophonics' 10th studio album, Scream Above The Sounds, is out on 27 October 2017.